On Sunday, December 16, 2018 at 4:00 p.m. the St. Paul’s Choir and the Bells of St. Paul’s offers the annual Advent Lessons and Carols service. This years’ music includes works by Felix Mendelssohn, Ralph Vaughan Williams, and John Rutter amongst others. The ensembles are led by Rusty McKinney, Minister of Music and accompanied by Joanna Li, Organist. 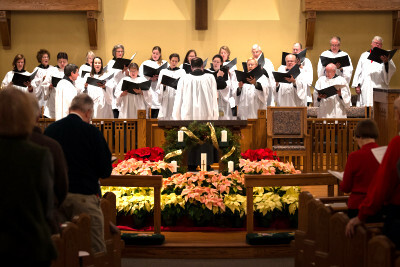 Carols and hymns are alternated with scripture readings that take us from Advent themes to the doorstep of Christmas. Please attend and invite your friends and neighbors.